Since the hugely successful release of her debut EP ‘Coming Back To Me’ and live dates in London, Manchester and Yorkshire, country-pop singer/songwriter Carolynne – who was the first country artist to take to the X Factor stage on UK television screens – will now release the five-song collection on CD on 7th July 2017 via online retailers, following demand from fans. Among the four brand new songs and a cover of the Supremes’ classic ‘Stop in the Name of Love’ (“chosen because my Nannie June loved the version I did on Terry Wogan’s show”…) the EP’s title track has already become a favourite among fans, played on country radio shows and stations across the UK and featured in Apple Music’s ‘Breaking Country’ playlist, clocking up nearly 70,000 streams since its digital release. The CD version of the EP is now available to pre-order from Amazon. For country singer-songwriter Carolynne, music has always been a priority. Though she’s now had over 6.5m views on Youtube to date and has been featured extensively on national radio, print and television across the UK, her story starts at the age of just fourteen, when her family of “country music fanatics” inspired her to hit the road joining five-piece Country band ‘Sundown’. After several years of touring the UK, at eighteen she left her family home in Yorkshire, heading for London to pursue her career in music, before long signing a contract with BMG and starting to work as a published songwriter. The next couple of years took her abroad to Sweden, where she spent time writing for other pop artists while developing her own songwriting style & sound, a blend of country, rock and pop. As well as collaborating with some great songwriters she continued to work as a touring performer across the U.K. This allowed Carolynne to hone and develop her unique style of performance, which would eventually catch the eyes and ears of X Factor judge Gary Barlow when she later appeared on the show as a finalist. Gary described Carolynne as “supremely talented” with a voice that “just oozes Country”. With the X Factor propelling her into the public eye in front of millions of viewers & being the first UK contestant to bring Country music to the X Factor stage, Carolynne’s next move was unexpected for someone in her position; knowing she wanted to fulfil her dream as a songwriter, she headed to the heart of country music and the home of many of her influences – Nashville, Tennessee. During her five months spent travelling across the USA, from Nashville to Arizona and L.A., she performed at every opportunity, and had the chance to work with, among others, Grammy award-winning songwriter Jeff Silbar (Dolly Parton, Kenny Rogers, Willie Nelson), who as well as penning songs for the country elite in Music City also wrote the award-winning hit ‘Wind Beneath My Wings’ . Carolynne’s debut single ‘I Love You But Shut Up’ was released in 2015, attracting strong support from the mainstream and country media – including a slot on the BBC Radio 2 playlist and a live acoustic session on Terry Wogan’s Sunday show; national TV appearances including Channel 5’s The Wright Stuff – and publicity across high-profile press and magazines such as Maverick, Country Music Magazine and The Independent, Since then, Carolynne has taken time away from the spotlight to work on new material, an EP written and produced with longtime collaborators The Elements and mixed by Ash Howes (One Direction, Ellie Goulding, The Corrs). She’s continued to perform live in between writing and recording, including, to much acclaim, an appearance at London’s Country to Country (C2C) 2016 festival at the O2 arena for the third consecutive year, and a two-night residency at London’s Live at Zedel, prompting Jennifer Selway at the Daily Express to describe her songs about heartbreak and desire as having “true country style”. 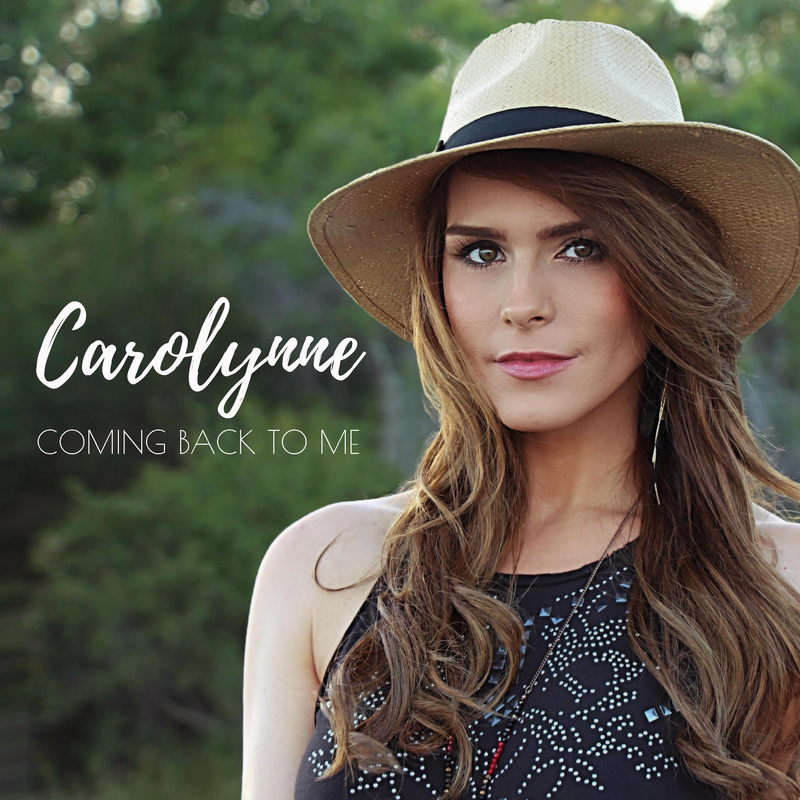 Following an initial digital release, Carolynne’s ‘Coming Back To Me’ EP is released on CD on 7th July 2017 and is available to pre-order now.